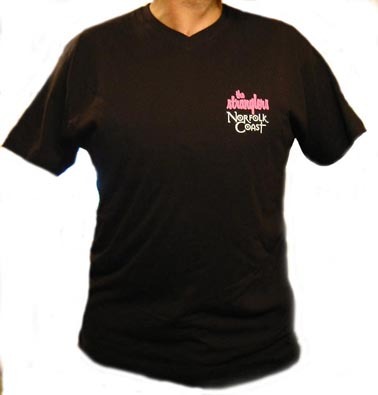 V-Neck Norfolk Coast T Shirt. Black T Shirt with PINK Stranglers Logo... only £10! !